With a mix of architectural gems, a historic art deco theater, a Shakespeare company, an art center and a Spanish mission, you'll find plenty of ways to get cultured, even without a dress code. San Rafael has been selected as one of California’s premier state-designated arts and culture districts. 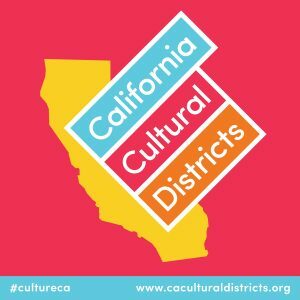 San Rafael joins 13 other districts in a new program highlighting the state’s unique artistic and cultural communities within California, home to the country’s leading creative economy. The newly designated Downtown San Rafael Arts District is located along the spine of Fourth Street in San Rafael. The arts district provides a unique place to create and appreciate arts and culture – San Rafael arts partners provide programming for people to come together, make connections, and get involved in the larger community. This beautiful 19th century Queen Anne Victorian country estate, built in 1888, is listed on the National Historic Register. At the heart of the center is an arts exhibition program featuring the work of local artists and an arts education program for elementary school children. In addition, the cultural center provides programming in the performing and literary arts and hosts low-cost seasonal family events. Home of the California Film Center, this historic art deco movie theater offers independent, foreign, classic and documentary films. As encouraged on its website - the best way to get to know the center and its artists is to drop by and see them in person. Check out the current exhibitions in their four art galleries. Explore the halls and hidden corners of its 130-year-old building, view artists at work, and please - strike up a conversation with the staff and artists. Enjoy Shakespeare during the summer season at Dominican University of California’s Forest Meadows Amphitheatre in San Rafael. The Company also offers year-round classes for students of all ages, Shakespeare for Social Justice programs and Shakespeare events throughout the year. AlterTheater Ensemble creates pop-up performances with professional artists in storefronts along downtown San Rafael’s pedestrian shopping district. With its award-winning playwright residency program, AlterTheater plays have started on Fourth Street in San Rafael and gone on to the Oregon Shakespeare Festival, to New York, to Canada, and more. We hire the same actors as larger Bay Area theaters, but in AlterTheater’s non-traditional venues, they’re only inches from the audience. San Rafael is known as the Mission City for its Mission San Rafael Arcangel. Originally built in 1817 and re-constructed as a replica of the original Spanish mission in 1949, the mission offers a museum, gift shop and self-guided tours.